Call * Response is a book inspired by youth and Winnipeg’s live music scene as told by thirty-six local photographers, visual artists, writers, lyricists and fans. The book includes unpublished photos of Dead Kennedys, Propagandhi, SNFU, the poster art of Steve Hallick, writing from Sam Smith, Greg MacPherson’s top-ten shows, memorabilia, and much, much more. Call * Response is a big hardcover, LP size book with sixty-four pages of punk rock in colour and b&w. At least $10 from the sale of each book goes to support Kids Help Phone. 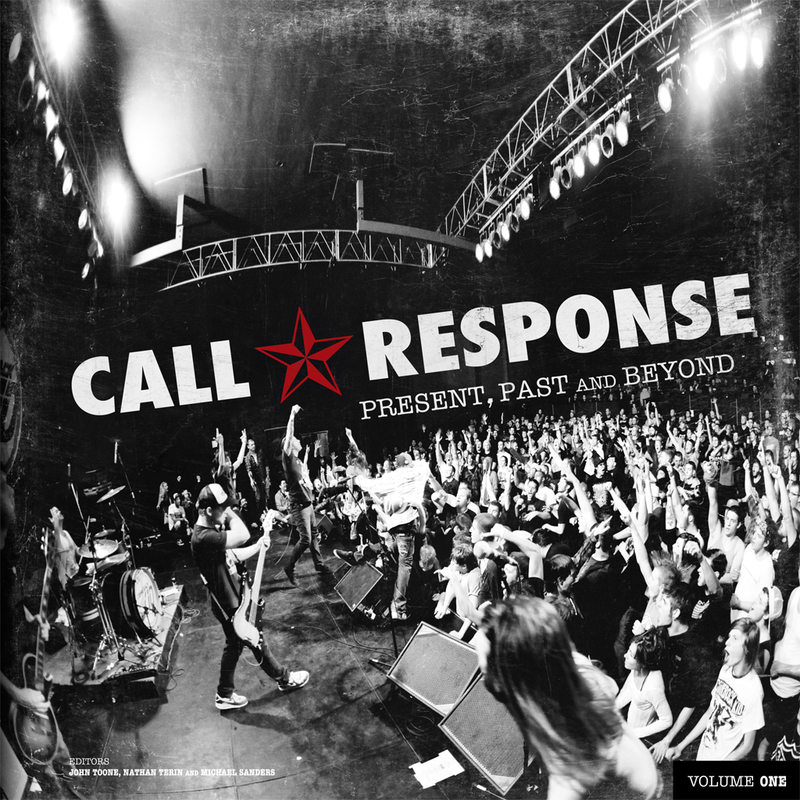 Call * Response: Present, Past and Beyond – Volume 1 will sell at retail for $39.99 and can be ordered right here! In February, Call * Response will be for sale exclusively at Into The Music (245 McDermot Avenue). An event in March at McNally Robinson Booksellers will be held Thursday, March 24th, 2011 @ 8:00 pm that will include live musical performances, readings from Call * Response from contributors and a few other surprises! We are working hard to get Call * Response into other retailers and we will keep you posted as those are confirmed. On Saturday, February 5th, 2011 we celebrated the release of Call*Response: Present, Past and Beyond ~ Volume One at Into The Music, The West End Cultural Centre and The Royal Albert Arms with a host of bands and musicians from Winnipeg’s present and past. We had a great turnout for all of the events. The WECC and the Royal Albert Arms were sold out! (see event itinerary below). Show your support for Kids Help Phone, the arts and live music in Winnipeg. The project’s goal is to raise money for the vital resource while increasing awareness for issues facing youth. Call/Response is an independently funded project and is seeking support from local businesses and individuals. We are counting on YOU to order your copy of the book. We are accepting all levels of sponsorship but suggest increments of $100, $250, $500 and $1000 to help with our production goal.